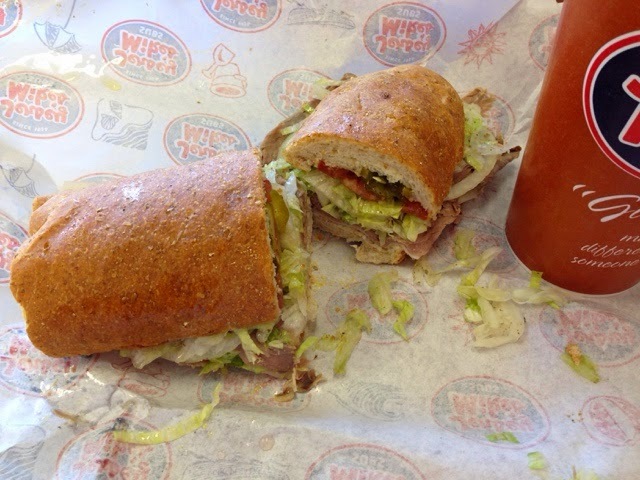 Lunch at Jersey Mike's, in the Sprouts shopping center on Huntington. Got the regular size Famous Roast Beef and Provolone sandwich ($8.25) and a large iced tea ($2.49). Nice.